Donald Trump has taken credit for a Japanese tech conglomerate's plan to invest $50 billion in America. True, Masayoshi Son, the billionaire founder and CEO of SoftBank (SFTBF), pledged Tuesday to invest the huge sum in U.S. startups. But that's only part of the story. In reality, a big chunk of the cash is likely to come from the Saudi government. In an interview with the Wall Street Journal, Son said the source of the investment would be a $100 billion fund SoftBank launched in October with Saudi Arabia. That fund, Softbank Vision, is part of Saudi Arabia's plan to become less dependent on oil. SoftBank declined to comment, and Saudi officials were not available. Still, the basic structure of SoftBank Vision is clear. SoftBank's head of strategic finance Rajeev Misra will run the London-based fund, but the Japanese company will have a minority stake. 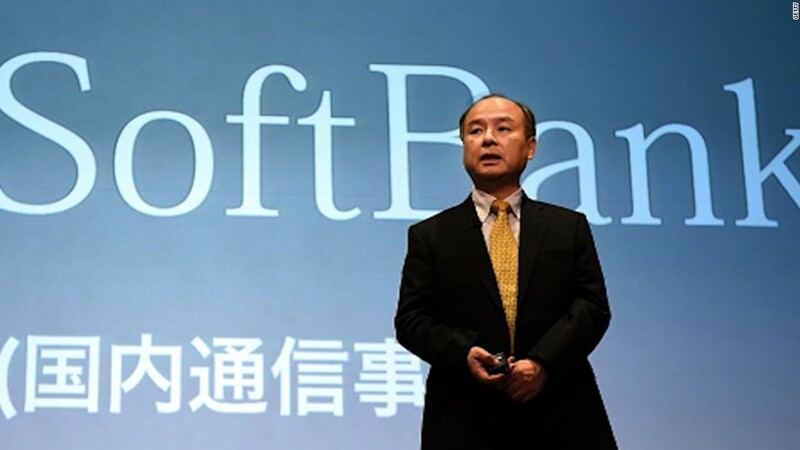 SoftBank has pledged $25 billion over the next five years. Saudi Arabia is planning to contribute $45 billion over the same period from its Public Investment Fund. The PIF was established in 1971. Its main purpose is to manage the Saudi government's investments in companies at home and abroad. Deputy Crown Prince Mohammed bin Salman, who has been leading PIF since March 2015, has revised its investment strategy to support the diversification away from oil. SoftBank Vision's other backers have yet to be identified. Speaking in India last week, Son said he was talking to investors about the remaining $30 billion. He said the fund was already oversubscribed. Saudi Arabia has made a few big tech bets in recent months. In June, it bought a stake in Uber for $3.5 billion -- the company's biggest commitment from a single investor -- and last month poured $500 million into noon.com, a startup based in Riyadh that wants to be the Amazon (AMZN) of the Middle East. Relations between the U.S. and Saudi Arabia have been strained recently by a new law allowing U.S. victims of the 9/11 attacks to sue the Kingdom. Earlier this year, Saudi officials expressed concern that their assets in America could be seized as a result. But that fear appears now to have passed. The governor of the Saudi central bank said last month that Saudi investments would continue to enjoy sovereign immunity.